While they present themselves as a cheaper option, online estate agents cannot match the benefits of using a real local estate agent, according to one man who has tried both. The happy Dawsons customer from Swansea originally placed his property with a well publicised online estate agent, before switching to Dawsons. “I felt they had a good platform which made it easy to get feedback. Also, we felt the house we were selling would do most of the work itself,” he said. However, after two weeks of viewings, he started to doubt his choice. He started to suspect that he and his wife were not well placed to handle the viewings and to answer potential buyers’ questions in the best way. Being keen to sell the house quickly, he put it on the market with Dawsons, and was immediately impressed by their proactive approach. “Dawsons have a good presence in the area, and I was struck by how proactive they were: they will call people up to tell them they have something that might suit them, and they have a database of people looking to move to the area via the Relocation Agent Network. Just as he hoped, Dawsons secured a buyer very quickly and the sale progressed smoothly. He appreciated having easy, regular contact with Dawsons so that he could keep up to date with what was happening. In hindsight, he feels that the apparent cost savings of the online platform did not compare to the benefits of having a local agent on the case. “The commission we paid Dawsons is a small percentage compared to what you get from the sale of the house so we were willing to take that hit to sell property – and they sold it very, very quickly. David Parton (pictured), branch manager for Dawsons, said that outperforming an online estate agent comes naturally for Dawsons. “When the vendor described his issues with his experience to date and what he was looking for, we could clearly see we would be the ideal match for his needs,” he said. Although the vendor had paid an up front fee of several hundred pounds to the online estate agent, he could still appreciate that paying Dawsons’ fees, if they agreed a sale, would be well worth his while. Very quickly an offer was made which Dawsons negotiated and agreed the same day. “Due to the complex nature of the chain and different dates required for different parties within the chain, it took a lot of my 14 years’ industry experience to progress the sale – even over the Christmas break which fell in the middle of it,” said David. “The vendor and I spoke almost daily on the run up to exchange of contracts and he commented at the time that it’s a good job we have a dedicated sales progressor within the team. Dawsons finally completed the whole process and moved the vendor and his family to their new home. “We are all thrilled to have been a part of and have enjoyed catch ups with him and his wife as we regularly bump into them within our local shopping area,” he said. Swansea boasts some of the most desirable postcodes in Wales to live. In fact, three of those postcodes appear in a new list of the top 10 postcodes in Wales. Dawsons is proud to be offering some very desirable properties from within those three postcodes – SA1, which ranks as the third top postcode in Wales; SA5, which is ranked as the fourth top postcode in Wales, and SA6, which is ranked as the 10th. The survey, carried out by the Centre for Economics and Business Research (CEBR) on behalf of Royal Mail, found that those three postcodes scored well on such factors as quality of schools, access to green spaces, good employment prospects, working hours, affordable housing and average commuting times. In particular, Dawsons has some much sought after sales and letting properties within the SA1 postcode, which comes third in the survey behind the Vale of Glamorgan and Cardiff Central. “We have an impressive portfolio of both sales and rental property across the city but we do have some fine examples within those top-rated postcodes and specifically within SA1,” said Chris Hope, Senior Partner at Dawsons. For example, Dawsons have a particularly impressive apartment in the Meridian Tower which is up for let at £1,500 per month and another apartment in St Christopher’s Court, for sale at £259,950. This is a luxury two-bedroom apartment situated on the 17th floor with stunning views over Swansea Bay. The apartment (pictured at the top) comprises of open plan lounge/diner, fitted kitchen, en-suite to master bedroom, walk-in wardrobe and family bathroom. It benefits from underground parking, lift access and being set close to the city centre. 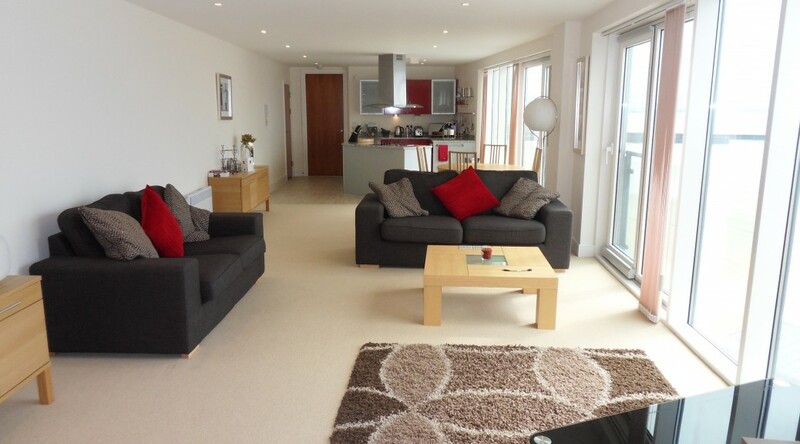 This is a two-bedroom property on the first floor offering views of Swansea Bay. The apartment consists of a master bedroom with en-suite and Juliet balcony, an open plan living/dining room with a sit pout balcony. It also has a fitted kitchen with integrated appliances. It includes a family bathroom and allocated parking. CF63, Barry, Vale of Glamorgan. Dawsons Property Sales Negotiator Joe Chiffi is celebrating after becoming an accredited Relocation Agent Specialist. His success means that the Llanelli branch is the only one of Dawsons’ sales offices to have a full accredited team. Joe’s accreditation comes after Dawsons Property was named as Relocation Agent Network’s 2016 Best Agent in South Wales. “We take staff development very seriously and Joe’s Relocation Agent Network accreditation is a great example of what can be achieved when staff are supported properly to improve their skill se,” said Chris Hope, Senior Partner at Dawsons. This is followed by three online seminars covering the Relocation Agent Network Referral Process and how best to help customers who are relocating around the UK. Finally, participants must convert their theoretical learning into a practical skill set by delivering assistance to three relocating customers. By working with fellow members across England, Scotland and Wales, Relocation Agent Network members provide an exclusive relocation referral service to customers with Dawsons guiding their customers through the daunting task of moving to an unfamiliar location. This includes local area information on schools and amenities, popular neighbourhoods and (of course) finding the right property for them. The introduction of a RAN Specialist to the Dawsons team, ensures that this process is made even smoother. 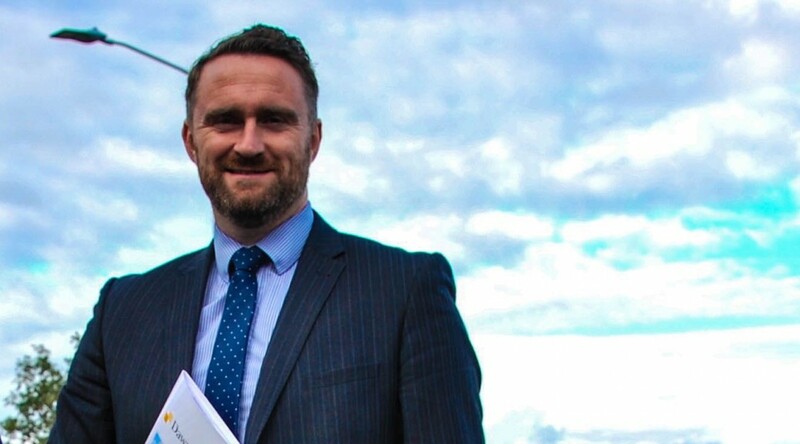 RAN’s Managing Director, Richard Tucker said: “Selected by us as the best independent estate agent to represent the Network in Llanelli and Carmarthenshire, Dawsons have proved themselves as the area’s Local Expert. 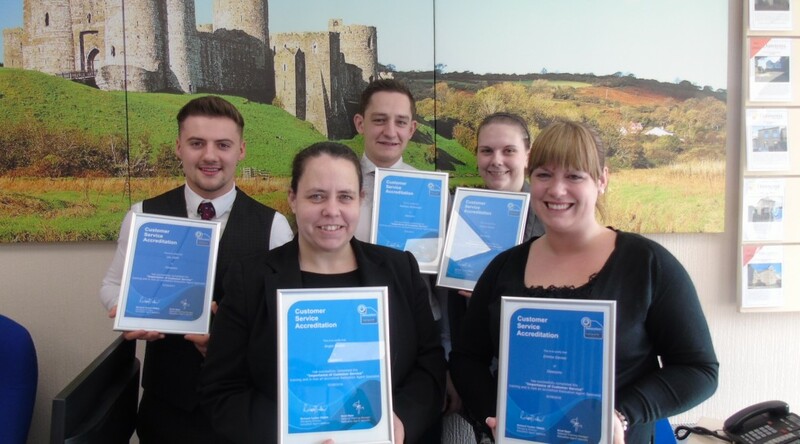 (CAPTION: L-R Joe Chiffi, Llanelli Office Manager Angie Bastin, Matthew Whitehead, Felicity Curtis and Emma Davies).